Amount of Entertainment Allowance granted during the previous year. For this purpose “salary” excludes any allowance, benefit or other perquisites. Amount actually expended towards entertainment (out of entertainment allowance received) is not taken into consideration. Entertainment Allowance is NOT deductible. Professional Tax or Tax on Employment, levied by a State under article 276 of the Constitution, is Allowed as Deduction. Deduction is available only in the year in which professional tax is paid. 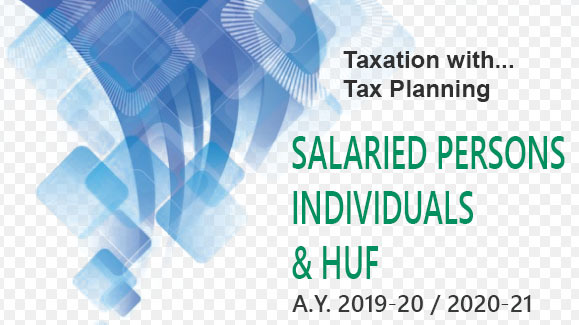 If the professional tax is paid by the employer on behalf of an employee, it is first included in the salary of the employee as a “perquisite” and then the same amount is allowed as deduction on account of “professional tax” from gross salary. There is no monetary ceiling under the Income-tax Act. Under article 276 of the Constitution, a State Government cannot impose more than Rs. 2,500 per annum as professional tax. Under the Income-tax Act, whatever professional tax is paid during the previous year, is deductible. Suppose X, posted in Hyderabad, is required to pay Rs. 2,000 every year as professional tax. On May 31, 2019, he pays Rs. 4,000 on account of professional tax (i.e., Rs. 2,000 for the year 2018-19 and Rs. 2,000 for the year 2019-20). In this case, Rs. 4,000 is deductible for the previous year 2019-20 (it is incorrect to state that in such a case only Rs. 2,500 is deductible).